As we watch recent architecture trends in the enterprise app development area, we observe that Microservices became the de facto architecture standard. At the same time, Spring Boot became the most popular and widely used framework to implement Microservices in the Java area. For years, Spring Boot earned and retained its top position in terms of the number of implementations for Microservices. Recently OCI (https://objectcomputing.com) came up with a Micronaut framework with the prime goal of simplifying Microservices development life-cycle. To know more about the Micronaut you can refer to our previous article: Micronaut – The potential poster boy for Microservices. Both frameworks have the Command Line tools to get started with development quickly, we can install the related Command Line tools and create the sample Spring Boot/Micronaut application and test it. We can also install the Spring Boot or Micronaut by using the SDKMAN, we can maintain the different versions of the SDK with SDKMAN. Here Micronaut has got the advantage because the most popular cloud features are supported by default without depending on any third party cloud services. These features will be part of the application itself. Micronaut’s slogan is ‘Natively cloud-native app development’. Kubernetes container runtime is supported by default. Serverless architecture, where Developers will deploy the function. From there onwards they are completely managed by the Cloud environment i.e. invocation, execution, control and put down. But Micronaut’s fast startup time, compile-time approach and low-memory footprint make this framework a great candidate for developing functions and in fact, Micronaut features have the dedicated support for implementing and deploying functions to the AWS Lambda and any FaaS system that supports running functions as containers. Micronaut inspired from both Grails and Spring Boot in integrating configurations properties from different sources directly into the core IoC container. Configurations can be provided by default in either YAML, JSON, Java properties or Groovy files. The convention is to search for a file called application.yml, application.properties, application.json or application.groovy. Just like Grails and Spring, Micronaut also allows overriding any property via system properties or environment variables. Default properties (specified by setting SpringApplication.setDefaultProperties). Caffeine – by default Micronaut supports it. 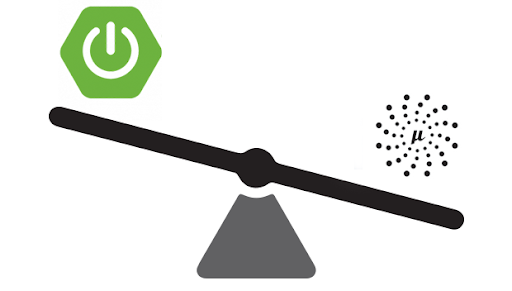 Micronaut inspired from the Grails, Spring Boot and Micronauts management dependency add support to monitor your applications via endpoints, the special URIs that returns details about the state of your application and health. 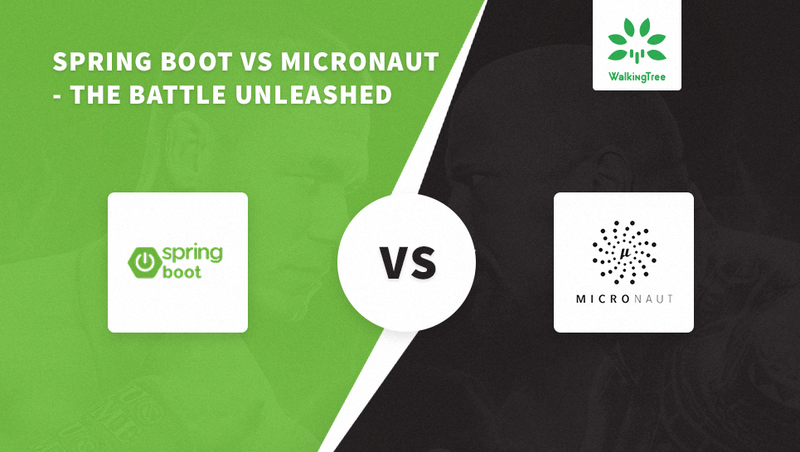 As a part of this article, We comprehensively compared different features of Micronaut and Spring Boot frameworks. 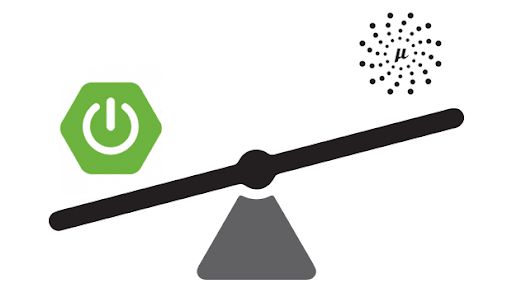 At outset, Spring Boot is still leading in many aspects with the support of vast experience it acquired in handling Microservices over the years. But Micronaut( Young chap) is promising and promising enough to give tough competition to Spring Boot. I hope this comparison helps you to take better and informed decision while deciding the Microservices development framework. We wrote some article on Microservices earlier, you can refer to them for better understanding on Microservices. At Walking Tree, we are excited about the possibilities that Microservices ecosystem brings in. Stay tuned for more articles on this topic.